If you go back in time you’ll find that Gazanias, common in Australia today, originated from South Africa. Now they are regarded as noxious weeds in some states – a case of wrong time, wrong place. I go back in time whenever I do the housework – I have a strong sense of deja vu (or Groundhog Day?) and many items take me back as I clean them, so I get to enjoy again precious moments with loved ones. I work hard to find happiness in repetitive chores! 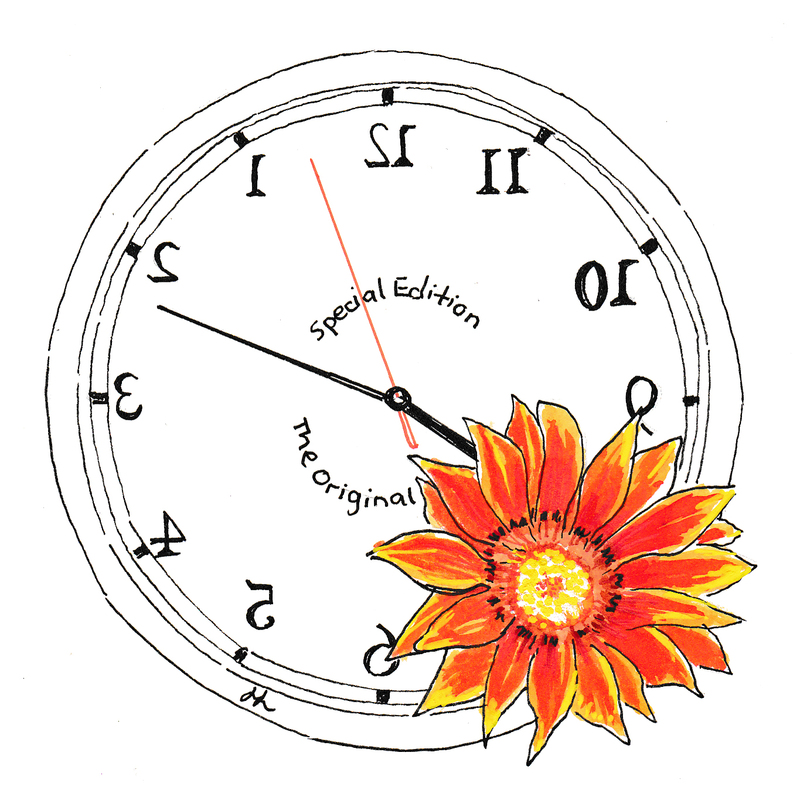 This entry was posted in All Posts, Inktober 2017 and tagged #Inktober, #Inktober2017, Gazania, Helen Lock, Ink, Pen, Perth Hills, Reversing time, Western Australia on October 27, 2017 by Helen.